of a general nature only and not intended to provide professional advice (if you need advice, you should always consult a suitably qualified professional). sometimes linked to external sites over which MDI Advanced Processing GmbH has no control and for which MDI Advanced Processing GmbH assumes no responsibility. In case you believe such content is not in compliance with the applicable law, please notify us. We will check the content and eventually delete the link. expressly aimed for the German market, unless expressly indicated as being provided for a particular other country, or is related to information that specifies expressly a particular country, then this shall mean that that information is relevant to that particular country. valid as at the time of posting. Please note, however, that information is subject to change at any time after it has been posted. Our liability is limited to the typical and foreseeable damage caused by gross negligence only. Excluded from this limitation is liability according to product liability (i.e. Product Liability Act), intentional behaviour and for damage to life, body or health. When exporting (or supplying to a non-resident) technology or programs provided on this website, or products purchased on this website, please ensure that the relevant export control regulations as well as any other applicable laws are observed. This disclaimer is not intended to limit the liability of MDI Advanced Processing GmbH in contravention of any requirements laid down in applicable national law nor to exclude its liability for matters which may not be excluded under that law. Statements published in this Web site in respect to MDI Advanced Processing GmbH plans, prospects, policies, strategies, evaluation and financial estimates are not historical facts. These contents are about the company’s future outlook. Although these statements are based on the latest information available to our company, please understand that actual results are subject to change due to unpredictable economic and other effects. Any content of this Web site is not intended to solicit investment into MDI Advanced Processing GmbH. Personal information supplied to MDI Advanced Processing GmbH by customers through the submission of inquires (via email) over the company’s website shall be handled in accordance with this privacy statement and strict compliance with the relevant legal provisions. Generally speaking, customers can visit the company’s website without disclosing any personal information, and the personal information of customers shall not be collected simply by customers viewing the website. The website does not collect any personal data from its users. 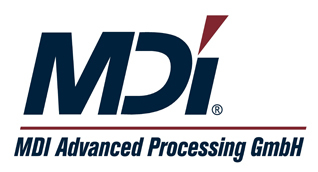 MDI Advanced Processing GmbH shall endeavour to prevent the personal information of customers collected from being leaked, lost, or compromised and to prevent unauthorized access from being gained to the personal information of customers by implementing appropriate security measures, which comply with attachment of sec.9 of the BDSG. MDI Advanced Processing GmbH shall only use the personal information of customers for the purposes for which they were collected or to which the customer has provided his/her consent. The customer is always welcome to inquire about his/her data we have collected and is free to ask for deletion or correction.